Combine all the ingredients together in a large bowl, mixing gently so the rice cereal doesn’t get crushed. Mix until well-combined. 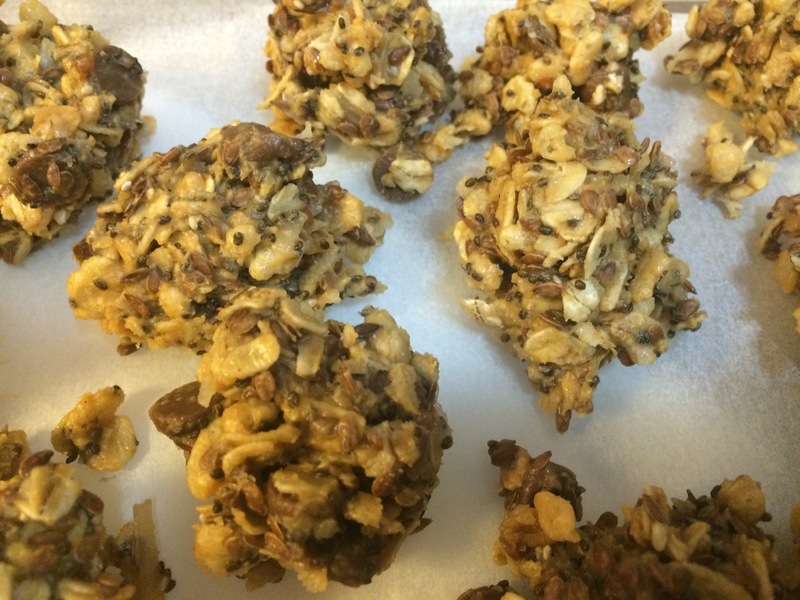 Roll into small balls and place in Tupperware on wax paper.